We’re still spending vast amounts of time and money trying to counter the ill effects of a discredited, retracted paper from 1998 that claimed to find a link between the MMR (measles, mumps, and rubella) vaccine and autism. 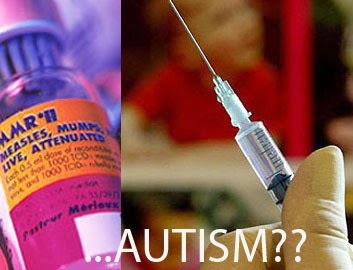 Even after the The Lancet retracted the study, and even after the British Medical Council revoked the medical license of its lead author, Andrew Wakefield, many people continue to withhold vaccines from their children because of a fear that somehow, despite all the evidence to the contrary, vaccines might cause autism. Vaccines, I hasten to add, have saved millions of lives and are probably the greatest medical advance of the past two centuries. Now another study has appeared to add more weight to the evidence about the safely of the MMR vaccine. The new study by Anjali Jain and colleagues, just published in the Journal of the American Medical Association, looked at a huge number of children–95,727–for evidence of any link between autism and the MMR vaccine. That should settle it, right? But then, dozens of previous studies should have already settled this question. Unfortunately, due to the ongoing activism of anti-vaccine groups such as Age of Autism, (who already attacked this new study) and to conspiracy theorists such as Robert F. Kennedy Jr. (whom I wrote about last summer, and who was campaigning against vaccines in Vermont just last week), misguided claims that vaccines cause autism or neurological problems persist. Here are the numbers from the new study. The authors compared vaccinated children to unvaccinated children, using a huge database of medical claims that included at least 5 years of followup. (This was an "observational" study, by necessity–it would be unethical to withhold vaccines from children on purpose.) The relative risk for autism in children who had 2 doses of the MMR vaccine (the recommended amount) compared to unvaccinated children was 0.74. In other words, a child was somewhat less likely to be diagnosed with autism if he or she were vaccinated. So: once again we have a large, carefully conducted study showing that the MMR vaccine does not cause autism, and even finding evidence that vaccinated children have lower rates of autism. Let's hope this study helps to end the anti-vax movement, so that we can soon stop spending time and money trying to refute their long-discredited hypotheses and instead focus on trying to understand the true cause. I'd like to subscribe to your blog, but I see only RSS and a few closed systems I'd never use. Maybe you'd consider adding a Feedburner subscription function. There is a 'subscribe' button with 5 options (chosen by the person who runs fieldofscience.com), and a 'Join this site' and a "follow on Facebook" option using networkedblogs.com. I'll see if I can add Feedburner. Note that you can also follow me on the Forbes site (which mirrors the content here) but they don't have Feedburner either.